Taylor Branch at the 2009 Texas Book Festival. Taylor Branch (born January 14, 1947, in Atlanta, Georgia) is an American author and historian best known for his award-winning trilogy of books chronicling the life of Martin Luther King, Jr. and much of the history of the American Civil Rights Movement. The third and final volume of the 2,912-page trilogy—collectively called America in the King Years—was released in January 2006, and a selected summary of the trilogy, The King Years: Historic Moments in the Civil Rights Movement, was released in 2013. Branch graduated from The Westminster Schools in Atlanta in 1964. From there, he went to the University of North Carolina at Chapel Hill on a Morehead Scholarship. He graduated in 1968 and went on to earn an M.P.A. from the Woodrow Wilson School of Public and International Affairs at Princeton University in 1970. He was a lecturer in politics and history at Goucher College from 1998 to 2000. Branch served as an assistant editor at The Washington Monthly from 1970 to 1973; he was Washington editor of Harper's from 1973 to 1976; and he was Washington columnist for Esquire Magazine from 1976 to 1977. He also has written for a wide variety of other publications, including The New York Times Magazine; Sport; The New Republic; and Texas Monthly. In 1972, Branch worked for the Texas campaign of Democratic presidential nominee George McGovern. Branch shared an apartment in Austin with Bill Clinton, and the two developed a friendship that continues today. He also worked with Hillary Rodham, Bill's then-girlfriend and Yale Law School classmate, and later Clinton's wife. In October 1976, Simon & Schuster published Blind Ambition, which purports to be mainly a Watergate-related memoir by John Dean, the former White House Counsel to President Richard Nixon. On several occasions, Taylor Branch has publicly stated that he was the ghostwriter for this book. John Dean has denied this, though in 1995 gave sworn-deposition testimony that Taylor Branch actually wrote large sections of the book without his (Mr. Dean's) participation, knowledge, or approval. John Dean claimed furthermore that these sections written by Taylor Branch were partially fictional. Taylor Branch has, in turn, denied John Dean's claims and continues to assert, even on his website (cited below under "External links"), that he was, in fact, the ghostwriter for "Blind Ambition," and that all of the book's content originated with Dean. Branch's book on former president Bill Clinton, The Clinton Tapes: Wrestling History With The President, was written from many tape-recorded interviews and conversations between the two, most of which occurred in the White House during Clinton's two terms in office and which were not disclosed publicly until 2009 at the time of the book's publication. 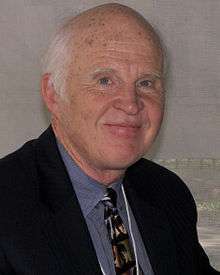 Taylor Branch received a five-year MacArthur Foundation Fellowship (also known as a "genius grant") in 1991 and the National Humanities Medal in 1999. In 2008, Taylor Branch received the Dayton Literary Peace Prize's Lifetime Achievement Award, presented to him by special guest Edwin C. Moses. In 2013, he co-produced Schooled: The Price of College Sports based on his 2011 book The Cartel. in 2015, he received the BIO Award from Biographers International Organization, for his contributions to the art and craft of biography. In his 1992 essay published in Esquire magazine titled "Blacks and Jews: The Uncivil War", Branch made multiple statements considered disparaging by supporters of the Jewish people. Among them is a statement that the Jews have produced ("canonized" as Branch put it) "no prophets in 2 millennium". Going on, he calls Louis Farrakhan "a prophet" along with Jesse Jackson. Branch claims that Zionism is a stolen idea from earlier "Black Zionism" of African Americans when establishing Liberia in 1847 Branch claims that it is inevitable that blacks and Jews are permanently doomed to quarrel as enemies. Among the most controversial statements was that the Jews have been "perpetrators of racial hate", citing his claims that Black Hebrew Israelites were denied citizenship under the Israeli law of return because of alleged anti-Black sentiment among Israeli Jews. Branch was criticized by Seth Forman, who said the claims seem baseless, particularly in light of Israel's airlift of thousands of black Ethiopian Jews in the early 1990s. A group of American civil rights activists led by Bayard Rustin investigated and concluded that racism was not the cause of Black Hebrews' situation. The Israeli Supreme Court has unanimously declared it illegal and "against the spirit" of the State of Israel to detain any African non-Jews who enter Israel to settle illegally (over a hundred non-Jewish Africans have legally attained Israeli citizenship) for more than 90 days under any circumstance, before finding them asylum elsewhere or releasing them. Branch lives in Baltimore, Maryland, with his wife, Christina Macy, and their two children, Macy (born 1980) and Franklin (born 1983). Heartland Prize for non-fiction, Chicago Tribune, 2006. ↑ Shipler, David K. (January 30, 1981). "Israelis Urged To Act Over Black Hebrew Cult". The New York Times. Retrieved 2008-05-28. ↑ "The Hillman Prize Previous Honorees". 2009. Retrieved 13 December 2012. ↑ "Taylor Branch and Louise Erdrich Chicago Tribune Heartland Prize, 2006 (video)". Chicago Humanities Festival. 5 November 2006. Retrieved 1 February 2012. ↑ "The Clinton Tapes, Wrestling History with the President". Retrieved December 14, 2012. Wikimedia Commons has media related to Taylor Branch. Inventory of the Taylor Branch Papers, 1865-2005, at the Southern Historical Collection, University of North Carolina at Chapel Hill. Booknotes interview with Branch on Pillar of Fire: America in the King Years 1963-65, April 12, 1998.